Case Study: E-commerce solution for Moutai Shenlaizui - Nova Software - Offering .NET development services, experienced C# and ASP.NET developers. Shenlaizui, a new spirit brand presented by the famous Kweichow Moutai group, came to the market in 2016. Within just a half year, Shenlaizui has established its sales channel in major provinces in China. Now it has more than 1000 franchisers all over China. Nova’s size is the biggest among all vendors. Besides developers in Nova have a range skillset which can perfectly support Shenlaizui’s needs. This project had a very tight timeline. Since 80% of Nova’s employee are developers, the timeline could be met without risks. With rich experience in mobile development and e-commerce solution, Nova could provide valuable suggestions to the client besides to delivering a software. 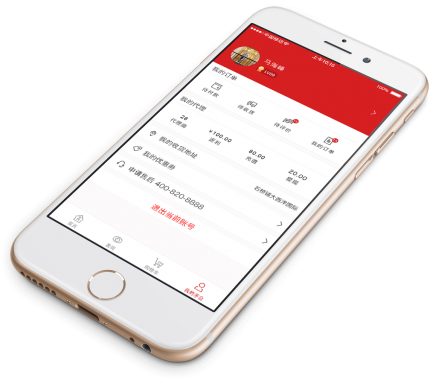 The client needed a multi-channel solution covering website, app and wechat to promote their brand and product. The client required a special multi-level distribution system to recruit franchisers and stimulate sales. Powerful reporting function is needed for the accounting department to settle with franchisers and analyze sales performance and profit. The multi-level distribution system should grant different reward point to franchisers depending on the level of the franchiser and the performance of the franchiser’s sub-level franchiser. This feature places a high requirement on the accuracy and efficiency of the algorithm of the system. No error is allowed when calculating the reward point, as one error may cause inaccurate numbers for other users. The timeline was really tight. Functions on wechat, app and PC needed to be delivered within two months. Challenge: This feature places a high requirement on the accuracy and efficient of the algorithm of the system. Solution: We spent a lot of time optimizing the algorithm and increase testing efforts to verify all the calculation results. The system also allow backend administrator to set if a certain purchase triggers a reward point. Challenge: The wechat system need to be compatible with all mainstream devices in the market. Solution: We adopted boostrap framework, meanwhile our tester tested compatibility for the devices of different sizes. Challenge: The timeline was tight while client’s budget was limited. Solution: We adopted Agile methodology to quickly deliver versions and collect feedback from the client. With the multi-level distribution system in place combined with the existing off-line channel, the sales of the company and its franchisers saw a significant increase in a short time. Functions on wechat and app came out before those of the client’s competitors, giving the client a big advantage in the market. The customized accounting reporting module greatly reduced the efforts of manual calculation and increased the efficiency of reporting analysis and statistics.